At D & M Welding Co, we are very proud to have built our reputation in completing welding and fabrication projects with the client’s complete satisfaction in mind while maintaining our strong business-client relationships that last. Find extraordinary sandblasting and painting services from D & M Welding! We are a welding company that has expanded our services to better serve our clients as a single-source option in the industry! Partner with us for all of your sandblasting and painting services. What kinds of projects do we complete? 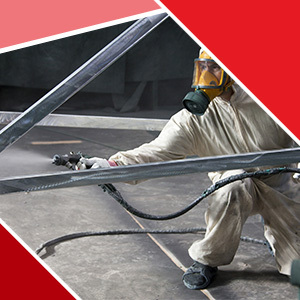 Our sandblasting services extend to industrial sandblasting, commercial buildings, and interior and exterior areas. Our sandblasting services can be completed on-site or in our repair shop and they always come with highly-skilled and trained sandblasting professionals. Sandblasting is a mixture of pressure, sand, and air that can be mixed and applied to almost any surface to prepare it for paintings or coatings. Businesses invest in sandblasting because it prevents corrosion, rust, and equipment malfunctions. Sandblasting protects your investment and keeps your business up and running — it’s expensive to break down and remove structures compromised by rust. Painting over rust without sandblasting only puts about a six-month bandage on the issue before the paint begins to flake off, exposing the rust once again. Get the job done correctly the first time with D & M Welding! Whether you’re wanting a few touch-ups or a complete painting overhaul, we’re happy to oblige! Once your surface has been expertly cleaned and prepped with our sandblasting services, we can refurbish, cleanup, and restore your building or equipment. Get thorough sandblasting and painting services with every project! At D & M Welding, all of our services are backed by our reputation and the rapport we build with our clients — connect with us today about our sandblasting and painting services. 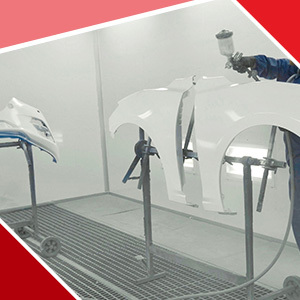 We have expertise in sandblasting, powder coatings, and painting. Through the years, we have expanded our knowledge and equipment to provide quality service in every aspect of sandblasting and painting. After-hours services are available.